I'm often asked are paid internet surveys a scam? Well like any other internet opportunity there are scams around, generally involving paying a fee for information that is either out of date, inaccurate or freely available on this site. Don't pay for a listing of companies paying you to complete surveys! WhichSurveys.com currently list around 200 survey companies offering paid surveys in cash and prizes. In most cases these are paid surveys direct from companies, not third parties. Each company has detailed descriptions concerning the incentives earned for taking part in their surveys and country of participation. All companies are updated regularly and are genuine, paying market research companies and completely free to join. Did you know you can get paid $10 to $150 dollars an hour (or often the equivalent in your local currency if you're not a US resident) filling out surveys and questionnaires, participating in market research and focus groups, trying out new products and visiting web sites? Businesses today can spend billions launching new products and they need your opinion to make sure their investment succeeds. They want to know whether there is a demand for what they are planning to sell, and whether their web sites are easy to use. This can be both fun and a chance to potentially make several hundred dollars a month working from home and setting your own hours. This is perfect for stay at home parents and students but anyone can earn from completing surveys. Whilst many companies are only looking for US residents there are still a huge number of opportunities for everyone else, although you almost certainly won't be able to earn a full time income. Use the menu bar on the left, or use the search facility above to find survey requirements for your country. Remember that success with paid surveys depends on patience, organization and honesty. Don't try to take shortcuts. 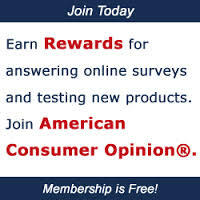 What are Online Paid Surveys? 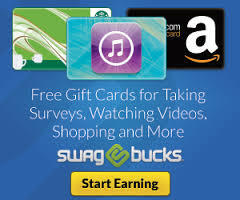 Can you make money with paid online surveys? Australian Surveys - This section relates to surveys only available to Australians or New Zealanders. European Surveys - This section relates to surveys only available to residents of various European countries. Surveys for Asia - This section relates to surveys available to people in various parts of Asia including Japan, Hong Kong, Singapore and Malaysia. International Surveys - This section relates to surveys available worldwide, or in a large number of countries around the world. UK and Ireland Surveys - This section relates to surveys only available to UK residents and/or residents of Ireland. US and Canada - This section relates to surveys only available to residents of USA and Canada. US Surveys - This section relates to surveys only available to US residents. Freebies - Take a rest from the hard work of signing up with survey companies and claim yourself a freebie or two. Unless otherwise stated, all these freebies are valid worldwide.